CBC AR-15 pistol kits present you with an opportunity to acquire an AR-15 pistol at a discounted price by enabling you to take on the assembly process yourself. We provide a versatile selection of AR-15 pistol kits in multiple calibers and configurations. Our AR-15 pistol kits offer superior quality, dependability, and performance that will satisfy the most demanding shooter. 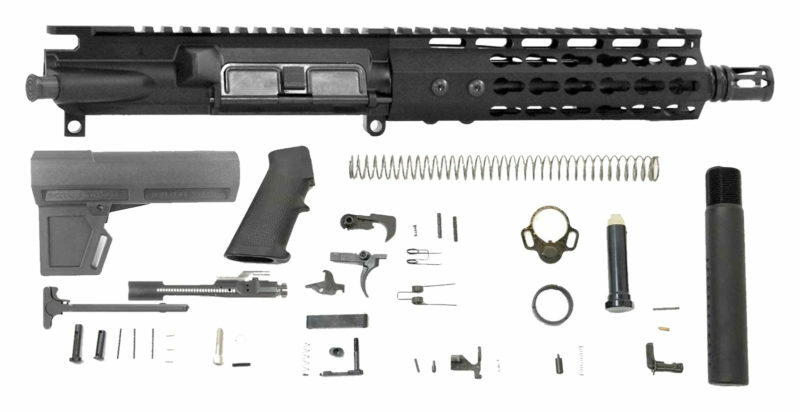 The quality of our AR-15 pistol kit parts are backed by our Lifetime Warranty – if any component of a CBC pistol kit becomes defective, CBC will repair or replace it at no charge.